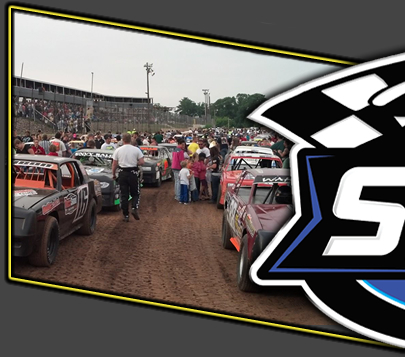 Rice Lake WI, June 18th – After an eleven day break in the racing schedule, the Rice Lake Speedway returned to racing action on Saturday. The AFCO Race of Champions qualifying events for the speedway were the main attractions Saturday, with the four winners in the WISSOTA sanctioned classes earning automatic berths in the WISSOTA Race of Champions event to be held during the WISSOTA 100 in September at the Dakota State Fair Speedway in Huron South Dakota. The drivers saved some of their best racing of the season to date for Saturday's qualifiers with the Street Stock and Midwest Modified features particularly being of championship caliber with Jay Kesan and Shane Halopka winning those events. Other winners who punched their ticket for the ROC race were Curt Myers and Mike Anderson. The Pure Stock feature saw Jason Havel stop George Richards winning streak at three while starting another streak of his own. The Street Stock feature saw a lot of three wide racing with at least three different leaders during the nonstop main event. Kevin Bogdanovic and Sam Fankhauser started on the front row and they raced side by side in the opening laps with Fankhauser holding the slight lead while Kori Richter and Kesan raced hard right behind them. Bogdanovic picked up the pace slightly and he pulled up beside Fankhauser who was running his preferred high side line on the track. As they raced side by side, Kesan suddenly made his move on the low side of the track and coming out of turn four, the leaders were three wide. Kesan and Fankhauser gained the slight edge and they continued to run door to door while Bogdanovic slipped back slightly. For several laps the two leaders continued to circle the track side by side but finally, Kesan gained the slight lead while Fankhauser fell back just a little. Kesan started to stretch his lead near the end, opening up a couple of car lengths on the pack, who were still battling furiously for position. Bogdanovic picked up the pace again, pulled up beside Fankhauser and took over second. Kesan continued his strong surge as he maintained his lead and drove home for his first feature win of the year. Bogdanovic edged Fankhauser for second, Richter finished fourth and Cody Kummer came from back in the pack to complete the top five. The Midwest Modified feature was perhaps even closer than the Streets with the winner not being decided until a last lap pass by Halopka to ensure his first Rice Lake win of 2016. After a first lap spin slowed the action, Travis Anderson jumped into the early lead. But he was soon challenged by both Curt Myers and Shane Halopka. Coming out of turn two, both the challengers got a good run on Anderson and they went three wide for the lead. Myers and Halopka both executed the pass on Anderson, but they found themselves again nearly side by side. For several laps, Myers would maintain the slightest of leads but then Halopka picked up the pace and they were virtually welded together as they circled the track. The action was stopped when David Simpson lost a good position when he spun in turn four. On the green, Austin Ellis came from no where to charge up on the outside and nearly steal the lead away from Myers but then Curt retook the top spot on the back chute. Halopka wasn't giving up and he fought his way back up beside Myers and lap after lap they circled the track in lock step. First Myers would edge ahead for a lap and then Halopka would come back and nose in front. Meanwhile, the action from the back of the pack was exciting too, as Ryan Viltz, who had problems in his heat and had to start dead last in the twenty car field, had moved all the way up to ninth by the first yellow flag and was continuing to hustle his way toward the front, trailed by Simpson who was also retracing his earlier steps too. But back up front, the huge battle continued. The two leaders took the white flag side by side, with the issue still in question. They raced in tandem down the back chute but on the final corner Halopka made one last surge and edged ahead, crossing the finish line less than a car length the winner. Ellis made another late charge and he was right with the leaders in third while Viltz completed his charge, moving back up to forth at the finish. Anderson completed the top five. Myers rebounded from his Midwest Modified disappointment quickly, by immediately jumping into his Super Stock and dominating that twenty lap feature while winning his third feature race of the year here. Curt muscled his way past Luke Schultz on the green and then drove past Jim Cimfl to lead lap one and he would go on to lead the remaining nineteen also. Nick Traynor and Eric Olson were making nice advances in the field and following the lone yellow of the event on lap nine for a spin, Myers found that his path to victory was going to be a little bit more difficult. Losing his big lead due to the yellow, he found that Traynor was going to stick right on his heels and while Nick never made a serious bid for the lead, one slip up and Traynor would cut into Myers shallow advantage. However, Myers remained in control and drove home for the win. Traynor, despite slipping up on the last corner of the race and hammering the front stretch wall, chugged home in second with Olson close behind. Adam Soltis had another solid run as he finished fourth and Bart Steffen picked up the pace near the end to complete the top five. Anderson controlled the Modified main event, starting on the outside pole and driving away from the field in the nonstop main event. He was flying from the green and as the pack battled among themselves, Anderson opened up nearly a straightaway advantage over the field. Kevin Adams started sixth and it was a tough chore as he worked his way through the field. Fighting him tooth and nail, he passed Pat Hoffman, Kerry Halopka and Mark Hessler and finally eased past Steve Hallquist for second. However, Anderson was long gone by this time, and with no yellow to bunch the field, Anderson cruised home for his second Rice Lake win of 2016. Behind Adams, the running order saw Hallquist, Hessler and Halopka complete the top five. Richards would start ninth in the Pure Stock feature due to a track rule that requires anyone winning two or more consecutive Pure Stock features to start ninth. On this night, he wouldn't be able to overcome that disadvantage as Havel quickly navigated his way up from the sixth starting spot. Michael Miller was the early leader and was doing a good job of holding off the pack until Havel came blasting through and flew into the lead. With this race also going nonstop, Havel was able to build up a big lead while the action in the pack was intense. Richards was really hung up in traffic and it took him a number of laps to work his way free. Meanwhile, Dustin Doughty, who had slipped very high on the first corner and lost a lot of positions, was also on the charge. Miller continued to run second but his car started to slow as the motor began to tighten up and Doughty blew past to take over second. However, Havel was long gone as he recorded his track leading fourth feature win of the season. Richards continued his late race charge, working his way up to third at the finish with Joel Hinrichs and Tucker Quinn close behind while the luckless Miller had his car expire on the final lap and he failed to finish. 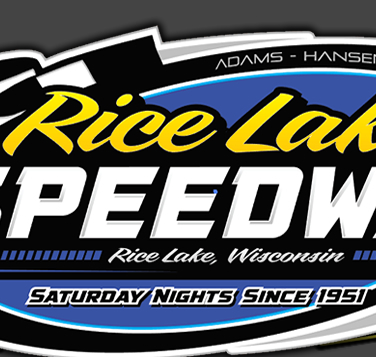 The next two Saturday nights feature huge events for the Rice Lake Speedway. 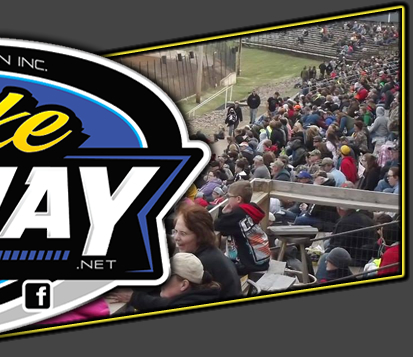 Next Saturday, June 25th is Kid's Night at the track. The race cars will be on the track before the program and everyone will have the opportunity to meet the drivers, many of whom will have things to pass out to the fans. There will also be bike giveaways with over sixty bikes to be given away. Then, on July 2nd, it's the annual Firecracker Special at the speedway. Once again, the speedway will present one of the finest fireworks programs in the area along with a full racing program in all five divisions. The night has become a Rice Lake Speedway tradition and the biggest crowd of the year is sure to be in attendance for this show. It will also be the Relay at the Races night for the American Cancer Society and many fund raising activities will be incorporated as a part of the evening's entertainment. As a side note, the Modifieds will be a part of the race program on July 2nd. They will be racing for national points on that night but not track points.